In: De Broyer C., Koubbi P., Griffiths H.J., Raymond B., Udekem d’Acoz C. d’, et al. (eds.). 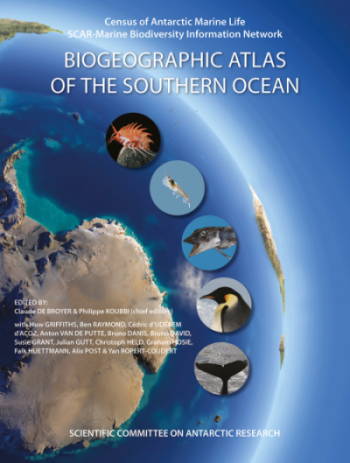 Biogeographic Atlas of the Southern Ocean. Scientific Committee on Antarctic Research, Cambridge, pp. 470-475. One of the powerful figures in the article. Here we see figure 4 a which shows predicted change from 2010 to 2100 based on future CanESM 2 data. The values shown here are mean predicted relative occurrence indeces (ROI) pooled over all 38 species that were modeled out. Warm colours show high predicted change and cool colours show lower change. The general trends of our study indicate a decline in ROI predictions for 2100. 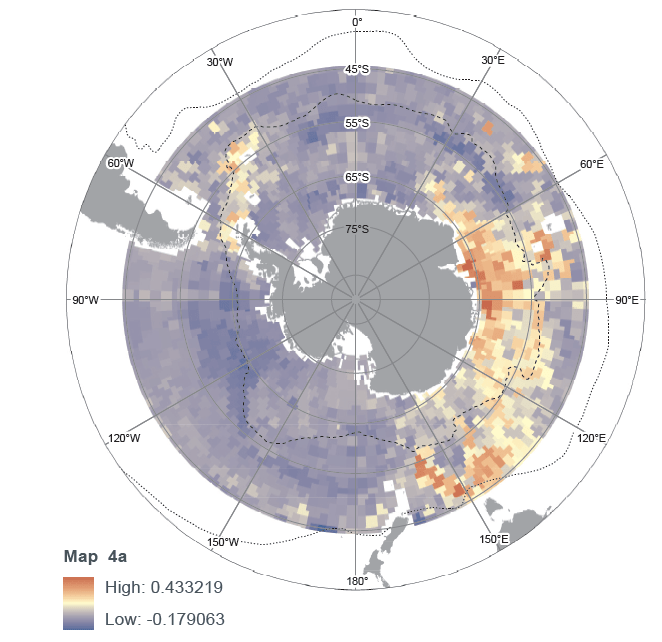 We think this represents an indication for a declining habitat quality and decreasing distribution range for traditional Antarctica species. One can see that eastern Antarctic waters are predicted to be among the most affected regions of change.